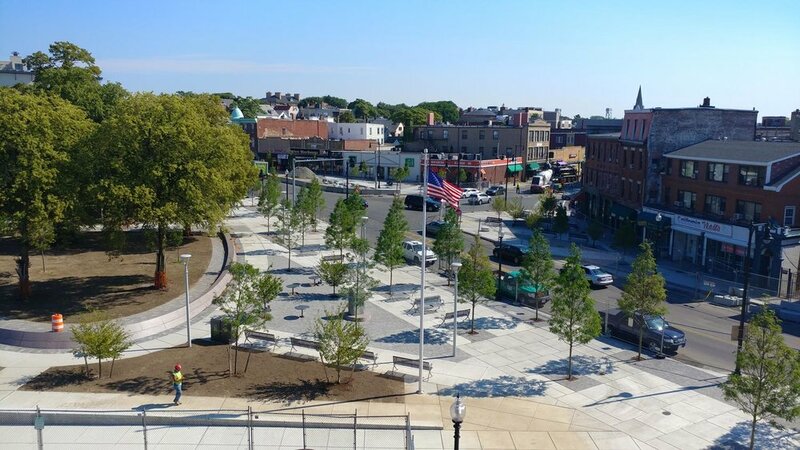 The newly redesigned Central Square Park in East Boston is now open to the public. Mayor Marty Walsh was in attendance for the ribbon cutting officially marking the opening of this historic square. Working with Howard Stein Hudson, the City and community of East Boston the design highlights this historic Olmsted Brother's landscape while addressing the needs of the East Boston community today.